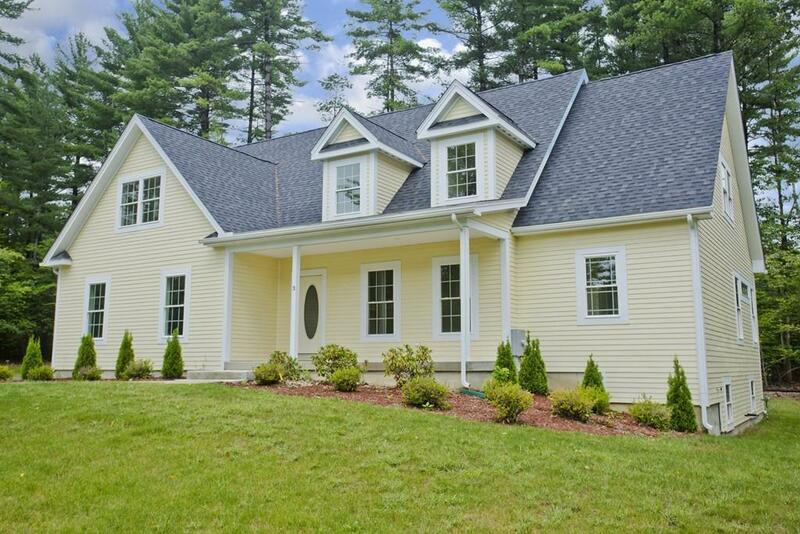 NEW CONSTRUCTION IN HADLEY TWO MASTERS one on each floor . Built in Hadleys most exclusive sub division . Home features five bedrooms (two masters) 3.5. baths . Custom cherry cabinetry with granite counters in kitchen & all baths . Porcelain tile in kitchen & baths . Hardwood throughout the first floor .94% efficient hydro air heating system with central air . Home is completely plastered . Fiber cement siding & trim . Insulated garage & garage doors.